The latest heart rate tracking sports earphones have just been unveiled; the Jabra Sport Pulse wireless earbuds offer in-ear biometric heart monitoring along with a plethora of personalised training options. The Bluetooth earphones pack in an ultra-miniature optomechanical sensor on the left bud that shines light onto a user’s skin and measures the scattered light, as well as the acceleration of the user, in order to get an accurate heart rate reading. Jabra teamed up with Campbell University in North Carolina to verify the accuracy of its heart rate sensor, pitting it against a medical-grade ECG machine. The Sport Pulse buds hit 99.2%, which is pretty impressive and should mean accurate training tracking for even the most enthusiastic runners. The results are loaded into the accompanying Sports Life App that keeps a record of your training history, as well as storing PBs and giving you advice on the intensity of your next scheduled session based on your current heart rate. During training the Jabra Sport Pulse will, of course, play your paired smartphone’s music (you can pair with up to eight devices and can be paired with two devices at the same time) with Dolby-quality audio, and there is also personalised, spoken, coaching tips. These are regular, or you can get instant updates by tapping the physical button on the left bud. Your training is tracked into five different heart rate zones: light, fat-burn, cardio, intense and maximum, and you can set personal goals based on distance, duration or calorie burn. The Sport Pulse earbuds are sweat and rain proof and have a battery life of around 4.5 hours – so enough to get you through a marathon….hopefully. They charge from flat in 2.5 hours, using a standard Micro USB cable. 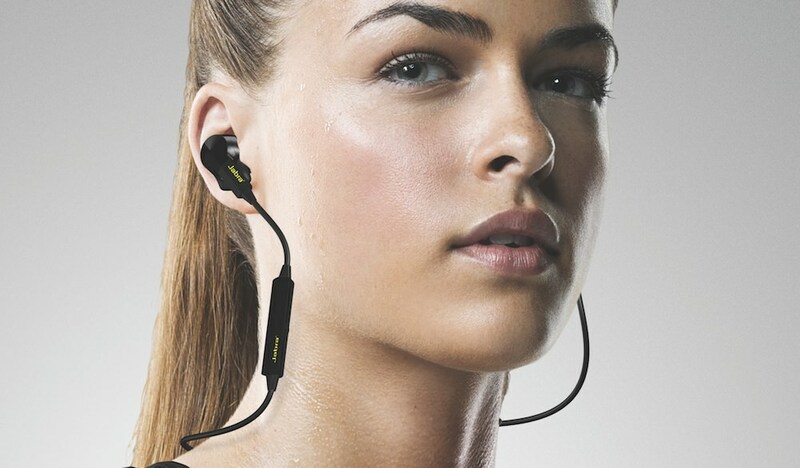 Available in October, the Jabra Sport Pulse wireless earbuds will cost a penny shy of £200. Expect a full review on Wareable soon.